Artists Brendan Jackson and Geoff Broadway are working on a book and short film focusing on the iconic lighthouse at Portland Bill in Southern England and the location of its original production – Chance Glass Works in Smethwick. The project explores, celebrates and shares the connective history and significance of these places. Come along and hear some salty lighthouse tales and view unique archive materials they have uncovered. 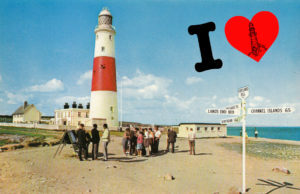 Join in and share some of your memories of Chances and their amazing lighthouses.